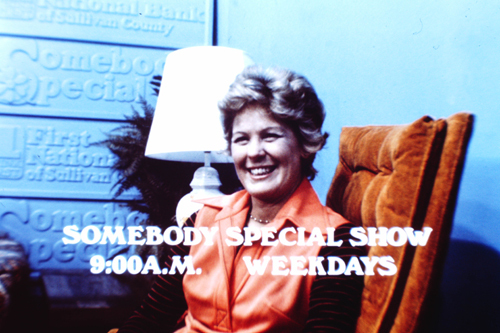 I ran across an old page of slides from the early 70s that had been used on WKPT-TV. 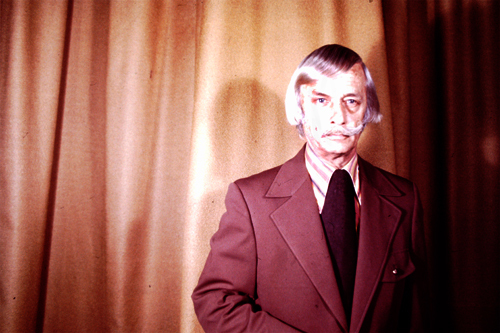 Figure these slides are around 40 years old, so live with the poor quality (highlights blown out, mostly). The Scene at Six. 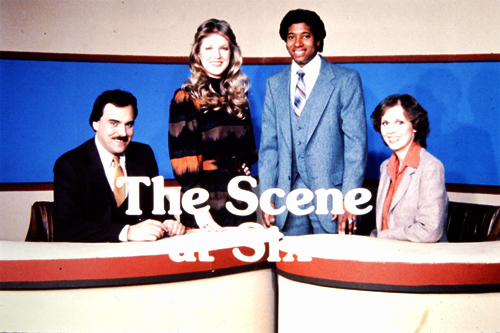 On the left is anchor Mike Lee, then Frances Eden, who did weather, and Bob Haywood, sports. I don’t recall the name of the lady on the right. And the man himself, Bill Trailer. He also did TV weather and, yes, he always tied his tie like that. When Bob Ratcliff, the boss at the time, warned him about letting his hair grow too long, he held firm until Bob paid for the haircut. I don’t know why this shot doesn’t have a caption…it may have never been used, although it was prepped properly. I was doing a show down in the FM control room and had to make sure that the door was shut, because, now and again, Bill, irritated at something, would storm out of the studio cursing loudly. This entry was posted in Uncategorized and tagged Bill Trailer, Bob Haywood, Bob Ratcliff, Frances Eden, Mike Lee, Night Sounds, Pat Woodham, Somebody Special Show, The Scene at Six, WKPT-AM, wkpt-tv on October 9, 2016 by Bob Lawrence.